New trial results suggest that insulin degludec and liraglutide injection (Xultophy) serves as a superior add-on therapy to oral diabetes therapy for reducing patients’ glycated hemoglobin (A1C) levels than insulin glargine U-100 (Touejo). Results of Novo Nordisk’s phase 3b, 26-week, open-label DUAL IX clinical trial — released at the 2018 American Diabetes Association (ADA) 78th Scientific Sessions in Orlando, FL — indicated the company’s long-acting insulin analogue/ glucagon-like peptide-1 (GLP-1) receptor agonist combination therapy has supplemental benefits as an add-on therapy for patients with type 2 diabetes (T2D). Xultophy was originally indicated as a therapy to improve glycemic control in adults with T2D mellitus that is inadequately controlled by basal insulin (less than 50 units daily) or liraglutide (up to 1.8 mg daily). DUAL IX tested the efficacy and safety of insulin degludec (100 U/mL) and liraglutide (3.6 mg/mL) injection in 420 patients from 11 different countries, versus the effects of insulin glargine U-100 as an add-on therapy in adults uncontrolled on sodium-glucose co-transporter-2 (SGLT) inhibitor therapy, with or without an additional oral antidiabetic drug. Researchers defined hypoglycemic events as patients having needed assistance from another person, or by blood glucose confirmed (less than 56 mg/dL) with symptoms consistent with the condition. Patients administered insulin degludec and liraglutide injection reported a clinically superior reduction in mean A1C (1.94%) versus that of patients administered insulin glargine U-100 (1.68%; P < 0.0001) as an add-on therapy to SGLT-2 inhibitor. In secondary endpoints, patients reported no change in weight gain when administered insulin degludec and liraglutide injection, while patients on insulin glargine U-100 reported a mean 4.4-lb increase at 26 weeks. Patients on the observed therapy also reported a 58% lower rate of hypoglycemia versus comparative drug (P = 0.0035), and the average total daily insulin dose was significantly less for the patients on insulin degludec and liraglutide injection (36 units/day versus 54 units/day; P < 0.0001). Adverse events were reported similarly in both treatment groups, with the most common adverse events in the patients administered the investigated therapy being viral upper respiratory tract infection, headaches, back pain, increased lipase, and nausea. The therapy reported a consistent safety profile to that of previous Xultophy studies. The DUAL IX trial results were announced within hours of results from Novo Nordisk’s CONFIRM study, wherein insulin degludec injection was compared to insulin glargine U-300 in adults with T2D who were starting basal insulin for the first time. From baseline to 6 months, patients administered either 100 U/mL or 200 U/mL insulin degludec injection had a mean A1C decrease of 1.5% — significantly lower than those administered insulin glargine U-300 (-1.2%; P = 0.029). 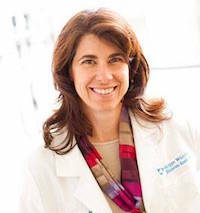 Athena Philis-Tsimikas, MD, DUAL IX lead investigator and corporate vice president of Scripps Whittier Diabetes Institute, emphasized the need for “treatment intensification” when treating progressive T2D in patients. “Xultophy 100/3.6 may be an appropriate treatment option for those adults who are unable to meet their blood sugar goals on their current medication,” Philis-Tsimikas said.